Posted on July 4, 2018 July 4, 2018 , in Hot Tubs. 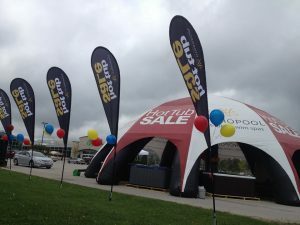 We are holding our annual off-site Hot Tub Tent Event Summer Sale this coming weekend at the parking lot of the Amherstburg Walmart store. Come visit our showroom this week for sneak preview deals and advance sales.